Are you ready for spring? It is almost time to update your closet and put away the constant grey and black and embrace florals, neons and everything that comes with spring. 1. Graphic Prints: If you are tired and bored of your usual print like polka dots, plaids e.t.c, experiment with prints such as tribal prints, artistic, modern, futuristic or abstract prints. 2. Peplum: Short flared ruffles that sits right on the waist: classy, elegant and a little bit of flirt! It can be worn in a skirt or top form. 3. 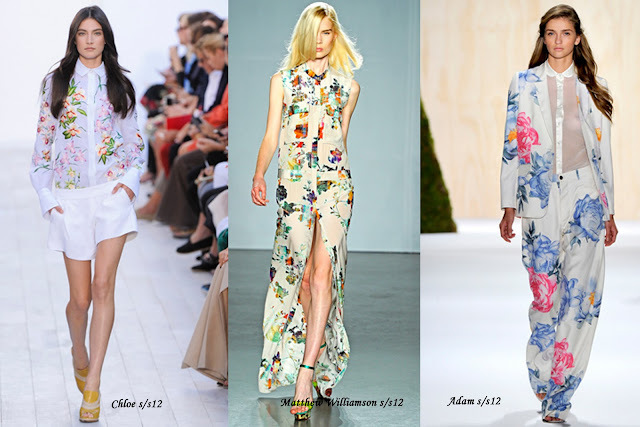 Floral Prints: You can wear floral prints with a solid color and if you are bold enough, you can mix two similar tone prints. 4. 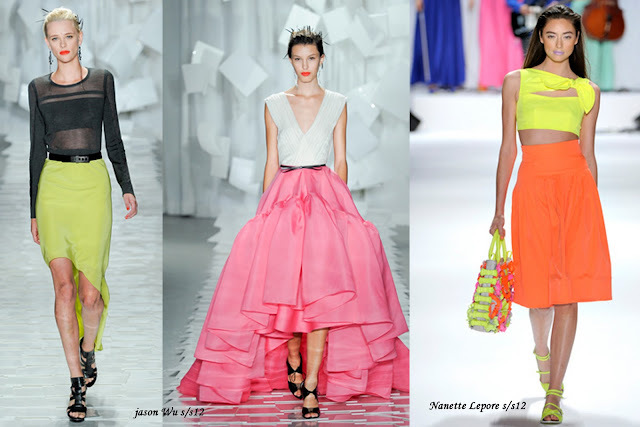 Neon Colors: Think neon red, yellow, green, blue.... Find out what color work best for you. pastel is my new obsession! The J.Crew has gatta be my favorite. I am really glad that pastels will still be on. BTW isn't Valentino dress to die for?! i love floral and pastal prints! 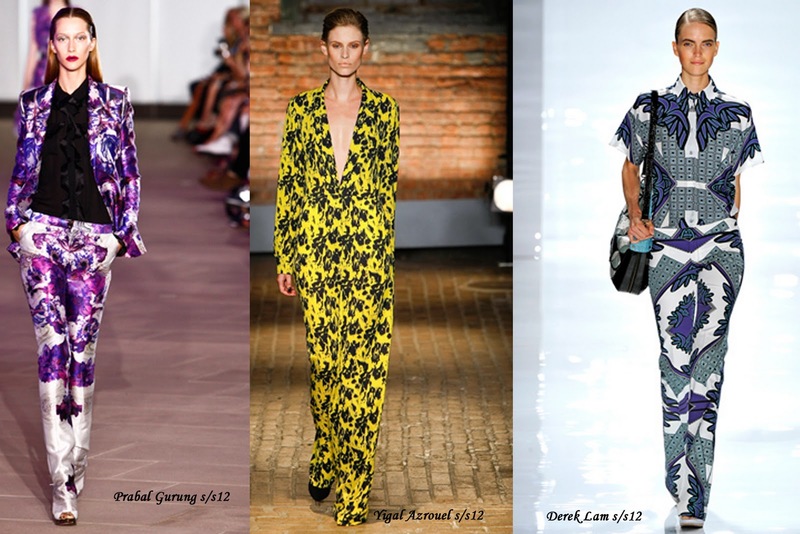 Loving next season's trends especially the graphic prints, floral prints and the nu rave neon. A good peplum comes in handy after a heavy meal like pounded yam and vegetable soup, lol. I'm not too fond of pastels to be honest they remind me of old ladies (not the Iris Apfel kind of course) and new borns. I don't mind pastel prints though. I could always team them with bolder colours I suppose. Can't hardly wait for all this new trends. Love the pastel and dramatic prints. Gorgeous. I like!! It's really nice!! Def seeing the prints everywhere. Im personally obsesseed with neon! 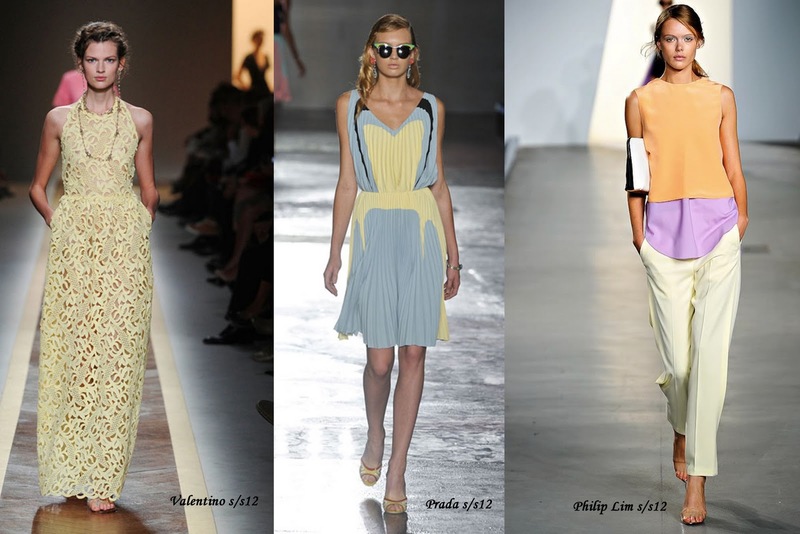 I'm excited for spring and summer 2012 season! It will be a lot of fun!! Thanks for share it!